What (not-often-seen) theorem is dynamically being illustrated below? (Feel free to move any 1 or more of the white point(s) anywhere you'd like. 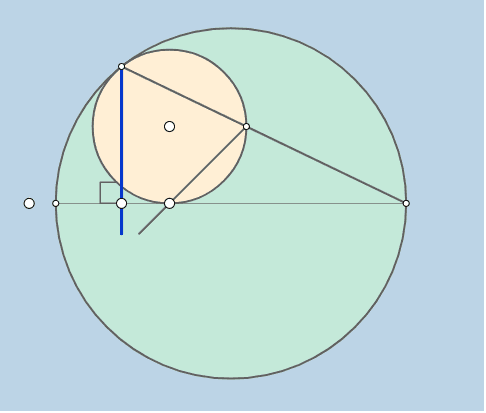 Note: The smaller circle is tangent to both the larger circle and the diameter of the larger circle.